In which we look in a little more detail at the (supposed) children of Samuel Boulding and his soon-to-be wife Mary Shepherd. I have found no mention of Elizabeth [nee Leach] Boulding after the record of her marriage with Samuel Boulding on 6 March 1796. I have searched Marylebone and Westminster records for evidence of burial, but found nothing. But – oops! – we find the following post-hoc marriage on 24 July 1824: again at St Clement Danes, Samuel Boulding is a widower of St James Paddington (with a very shaky signature), Mary Shepherd, a spinster, of ‘this’ parish. Witnesses M Boyle and Wm Boyle. Samuel Boulding was buried on 29 July 1829 at St Mary’s Paddington Green, said in the burial register to be age 79. Was he the father of the four children, christened as children of Samuel and Mary Boulding? Was Mary Shepherd, whom he married after the births of the four children, their mother, or was their mother another Mary? How can we know? If, indeed, Samuel Boulding was 79 when he died, he would have been about 74 when he married Mary Shepherd, and in his late 60’s and early 70s when the four children, shown as his on the diagram above, were born and baptised. ‘Strangers in blood’: Death duty registers. Samuel Boulding’s Will, written in 1827 with a codicil in 1828, made provision for his wife – furniture etc, an annual allowance, wine, linen etc – and then charged his executors with the disposal of his properties in Beaumont Street, Sloane Square, and adjacent to his dwelling in Upper Craven Place (formerly Black Lion Lane), and overseeing the administration of funds to the four above-listed children, all minors at the time of his death. Provision was made for the advance of up to £300 to son James, prior to his reaching the age of 21 (which would happen in 1844, a significant date). In his Codicil, Samuel noted that if his wife were to re-marry, or to co-habit with another man, the residence in Upper Craven Place should pass to the four children. The Register page is littered with notes about considerable sums paid – many thousands of £s. Where did Samuel get the funds for such wealth? The Administration, sworn on 23 December 1841, showed estate under £1,500. Jane did not appear to have profited much from her father’s fortune. Henry Newton Crouch (1843-1868) married in 1867 to Clara Isabella Meymott, one un-named child born and died in 1867. Clara re-married after Henry’s death a year later. Arthur Boulding Cole (1844-1926), watch and clockmaker. He married (1) Elizabeth Emma Wilson in 1868. They had six children and quite a few grandchildren. His second marriage to Elizabeth Sarah Rideout produced two more children. The name Arthur Boulding Cole was to have on ongoing role in my family, as in America some years later, his first cousin once removed would be named Arthur Boulding Spence. Florence Eva Cole (1857-1929), according the the 1911 Census, an accountant and secretary, living in Putney. Not ‘Backler’ Cousins! : These folk are all my cousins, but as this is a ‘Backler’ blog, I will leave their histories here. In my next post, I will explore the fate of the errant James Boulding’s deserted wife – Susannah Mary (nee Backler) Boulding. In which we introduce my 2x great grandfather James Boulding (1823 – ?1892) and his (supposed) father and my (supposed) 3x g. grandfather Samuel Boulding (c. 1750 – 1829). With the exception of the ancestry of my great grandfather William Spence, whom we will meet in due course and whose origins in Northern Ireland are difficult to trace, the Bouldings form the smallest fraction of my genealogical records. Indeed, there are only 8 people with the surname Boulding out of the 1,000+ names in my Family Historian database. One died in infancy and one as a young adult; one (see below) disappeared aged 25 or so, and the origins of the most senior one (Samuel) remain unknown. Still, there is plenty to explore, including possible scandal and illegitimacy, and the detonation of a family myth as to the end of the said James Boulding. As described in previous posts, Susannah Mary Backler (1817 – 1883), daughter of Samu el Backler (1784 – 1870) and Mary (nee Pellatt) Backler (1789-1857) married James Boulding, gentleman, on 31 July 1844, at St Mary’s Church, Islington, London, pictured here. Witnesses were Susannah’s father, Samuel Backler, her sisters – Esther Maria Backler, and Mary Pellatt [nee Backler] – and Mary’s husband and cousin Henry Pellatt. I do not know who Wm F [?] Young was. Given the preponderance of Backlers and Pellatts, he was perhaps a supporter of James Boulding. So far, so good. The couple were both said to live at 9 Cross Street, now part of a conservation area in Islington. My great grandmother, Susannah Mary Backler (1845 – 1910), was born 9 months later on 18 May 1845, her father now designated as a stationer, and they having moved to the end of Cross Street, to 140 Upper Street, Islington. By 1846, the family were at Pleasant Row in Islington, where Lucilla Charlotte Boulding (1846 – 1848) was born. I have not found any precedent for the name Lucilla, whereas there was a paternal aunt Charlotte Boulding. The third child, Apsley Samuel Boulding (1848 – 1925) was born at Dorset Street, near Fleet Street on the same day as the death of little Lucilla Charlotte, of scarlet fever. 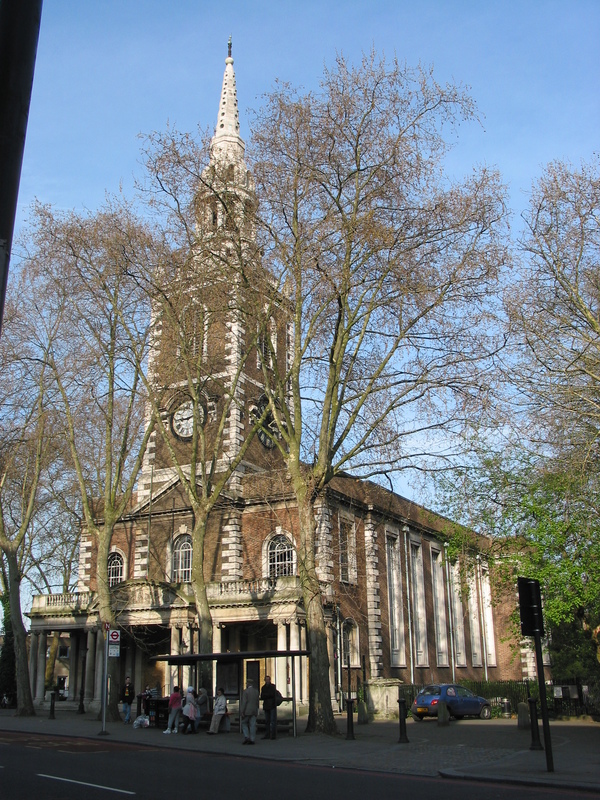 Apsley was baptised on the 8th of March 1848 at St Mary’s Islington. His interesting (and very searchable) name derives from that of his maternal great grandfather (Apsley Pellatt) and both his maternal and paternal grandfathers (Samuel Backler and Samuel Boulding). For whatever reason, the registrations of the birth of Apsley Samuel and the death of Lucilla Charlotte are the last we will see of their father James Boulding. [However – stop press and much excitement – he MAY now be found some 42 years later in NSW, Australia, as I describe below.] In a later post I will describe the varied fortunes of his wife, Susannah [nee Backler] and her three ill-fated children by her second marriage. Here, though, we will tease out what can be discovered about James’s said-to-be father, Samuel Boulding. Samuel Boulding, of St Clement-Danes parish and Marylebone. The earliest sighting of Samuel Boulding is in Sun Fire Insurance records in 1794. Properties were insured at 41 and 42 Sloane Square, and his address was given as 10 Great Portland Street, Cavendish Square. Later he appears as a Perfumer, resident at 12 Beaumont Street, Marylebone. These were the leasehold properties he bequeathed in his Will in 1829 to his executors John Blake Kirby and Edward Bridger, to hold in trust for his four (spoiler: subsequently-discovered-to-be-illegitimate) children. In the meantime, what else do I know about Samuel and his two wives? Precious little! I do not know where he was born (calculated from his burial record to have been in about 1750), nor anything about him preceding his first marriage to Elisabeth Leach in 1796 at St Clement Danes Church. Both were of that parish, and witnesses were Thos. Jarrett and S[?] Curtis (I am none the wiser about who they were). The surname Boulding is not often found, with clusters in the Sheffield area and Kent. However, the custodian of the Boulding one-name study has not found an origin for ‘our’ Samuel. Nor have I found anything about Elisabeth Leach, other than her marriage to Samuel, as above. I have found no death or burial record for her, although Samuel married again in 1823, after the birth of the four children whose baptisms were registered with him as father, and ‘Mary’ as mother. James – born June 24 1823, christened 17 August 1823. More detail about James’s three siblings is in the next post. Samuel Boulding was buried on 29 July 1829 at St Mary, Paddington Green – a most elegant church, but where the churchyard no longer has stones standing. His burial record says he was aged 79. Hmmm…a very mature father! Was Mary Shepherd the mother of the 4 children, or could their mother have been another Mary? Was Samuel really a widower when he married Mary? I have never found a burial record for Elizabeth (nee Leach) Boulding. Was Samuel really 79 when he died? His signature on his marriage certificate with Mary looks suitably wobbly…(if that isn’t too ageist). Was Samuel really the father of the four children? How did the couple get away with those four baptisms, when they weren’t married? Stop Press: Did the long-missing James Boulding end his days in the Liverpool Asylum for the Infirm and Destitute in Liverpool, NSW Australia? Our family lore had it that James had died in a Boer war battle in South Africa. Could this have been a fabrication to mask the shame of his apparent desertion of his family? Or a story invented to allow his wife to declare herself a widow and re-marry, seven years after his disappearance? I have discovered records on Ancestry of the above Asylum, showing in 1884 the admission of James Boulding, stationer, born London 1823. Subsequent records of the asylum show him as a ‘labourer’, arriving in Australia on the ‘Lancaster’, dates variously shown as 1850, 1857 and 1851. I can find no ships list of the Lancaster. I have not seen his full death record, but I have ascertained that, unusually for Australia, no parents’ names are recorded. The death record of James Boulding on 15 June 1892 at the Asylum says ‘no known relatives’. Further research is needed, but I feel all the signs indicate that this, at last, is ‘our’ James Boulding. A sad and apparently lonely end.